Following one of the most controversial and eventful off-season perhaps in the game’s history, rugby league is in desperate need for some on-field action towards which the attention can be shifted. Thankfully, we won’t have to wait much longer as the World Club Challenge returns on February 18th, with the Sydney Roosters taking on the Wigan Warriors at DW Stadium in England. It will be the 27th World Club Challenge in the game’s history, with Wigan having won four titles to the Roosters’ three. The first ever clash between the winners of the Australian and English club competitions took place in 1976, between the Eastern Suburbs – coming off their record 38-0 drubbing of St George in the previous year’s NSWRL grand final – and St. Helens. While the World Club Challenge is now an annual fixture on the rugby league calendar, the inaugural clash was proposed as merely a ‘one-off’ game, and was played at the Sydney Cricket Ground on June 29, in the midst of the 1976 NSWRFL season. While some considered it an unnecessary disruption to both team’s campaigns in their respective domestic competitions, a healthy crowd of 26,856 turned out for the match, indicating that it was indeed a viable initiative. Leading into the match, St. Helens opted to play two warm-up games against a Queensland and Auckland representative team respectively, and lost both. In order to prove their triumph was legitimate, and not a result of fatigue on behalf of St. Helens, Eastern Suburbs challenged both representative sides who had defeated St. Helens. 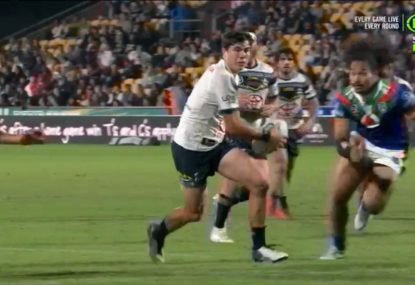 While Queensland declined the offer, Auckland eagerly accepted, and were ultimately defeated by the tricolours 26-22 in front of an enthusiastic home crowd. Because the 1976 clash was a standalone game, there were no immediate plans for a follow up match the next season, or indeed any in the foreseeable future. Ultimately, the concept wouldn’t return until 1987, when Wigan chairman Maurice Lindsay invited Australia’s 1987 NSWRFL premiers the Manly-Warringah Sea Eagles to take on the Wigan Warriors, the reigning British champions. Although long-serving Manly secretary Ken Arthurson proposed that the prize money should be split between the two clubs, regardless of the outcome, Lindsay argued that the game should be played under a ‘winner-takes-all’ stipulation, believing that it would result in the players and fans taking the game more seriously. Played on a dry October night, the match between Manly and Wigan was a tough, at times spiteful, encounter which attracted 36,895 spectators to Wigan’s Central Park, most of whom spilled onto the ground at fulltime in celebration of the home side’s 8-2 victory. Manly forward Ron Gibbs became the first player to be sent off in a World Club Challenge game during the match, as he was given his marching orders following an illegal elbow to Wigan centre Joe Lydon as he attempted a drop-goal. Sea Eagles captain Paul Vautin would later claim that his side’s loss came down to the team’s lackadaisical attitude toward the game, saying that Manly treated the fixture as a an opportunity to travel to England for a holiday, where they would continue their grand final celebrations. The first match to be officially recognised as a World Club Challenge contest took place in 1989 between Widnes and Canberra, with the English side triumphing 30-18. Three more World Club Challenge games were played in the 1990s – 1991, 1992 and 1994 – with Wigan appearing in all three (winning the first two, before losing to the Broncos in the latter). Logistical issues as well as interruptions caused by the so-called ‘Super League’ war resulted in the World Club Challenge being placed on an indefinite hiatus until 2000, when it returned as an annual fixture to be played at the beginning of the year (January/February) instead of October. Although British and Australian clubs had competed in the ill-fated World Club series in 1997, they were not officially recognised as World Club Challenge fixtures. The competition, which resulted in a $5,000,000 loss for organisers and had poor television ratings and attendances throughout, was won by the Brisbane Broncos. After having not been played since 1994, the World Club Challenge returned at the turn of the century, with St. Helens playing host to the Melbourne Storm. Due to the relatively low attendance capacity of St. Helens’ home ground Knowsley Road, which held 17,500, organisers opted to hold the fixture at JJB Stadium in Wigan, a larger venue with a capacity of a little over 25,000. Ultimately, it wouldn’t matter, as the final attendance figure was a relatively disappointing 13,394. 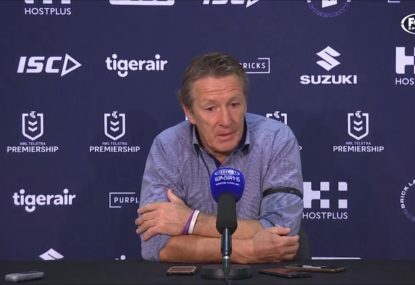 While it ended up being a false indicator of their fortunes in the upcoming NRL season, the Melbourne Storm were dominant in their defeat of St. Helens, running roughshod over their opponents to the tune of 44-6. Despite Melbourne’s victory, over the course of the following eight seasons only one Australian club was able to defeat their English counterparts, the Sydney Roosters’ 38-0 thrashing of St. Helens in 2003 a lone bright spot in what was proving to be an difficult fixture for Australian clubs. With each defeat, certain elements of the World Club Challenge would attract criticism from mostly Australian pundits, who labeled the unwillingness of English clubs to play the game outside England as being unfair, and having a negative effect on the competition’s credibility due to Australian clubs not being fully prepared as a result of jet lag and other factors affected by travel. Although the World Club Challenge would still be played on English soil – at least for the time being – the tides began to turn for Australian clubs in 2010, as Manly defeated Leeds. Des Hasler, who had played in Manly’s 1987 clash against Wigan, was now returning to England as the Sea Eagles coach. Manly’s win in 2010 was the start of an impressive run of victories for the Australian clubs in the World Club Challenge, as the Melbourne Storm (whose title was duly revoked following the salary cap investigations in 2010) and St George Illawarra Dragons both won their respective Challenge games in the ensuing years. These victories would help ensure the viability of the World Club Challenge, as fans on both sides began to take it more seriously as a competitive match, and not simply a ‘pre-season’ trial which many had become accustomed to seeing it as. Thus, the fixture began to attract more attention than it had during the previous decade, resulting in increased crowds and television ratings. The next big change in the history of the World Club Challenge was announced in November of 2013, as it was revealed that the following year the match would be played in Australia for the first time since 1994. Furthermore, commencing in 2015, the fixture would take the form of an expanded ‘competition’ format involving six teams. The return of the World Club Challenge to Australian soil proved a resounding success, with a bumper crowd of 31,515 turning out to the Sydney Football Stadium as the Sydney Roosters defeated Wigan 36-14 to claim their second official title (third if you include the one-off fixture in 1976). The 2015 edition of the World Club Challenge would be the third game of the ‘World Club Series’, comprising two other conTests; the Warrington Wolves against St George Illawarra Dragons, and Brisbane Broncos taking on the Wigan Warriors. 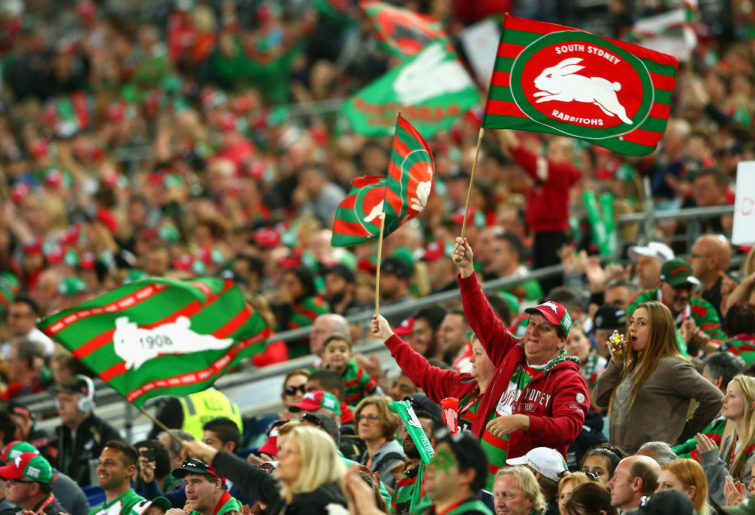 The Rabbitohs’ comprehensive – and record-breaking – 39-0 defeat of St. Helens ensured a clean sweep for the NRL after the Dragons and Broncos emerged victorious from their respective matches. While the ‘World Club Series’ concept would return in both 2016 and 2017, the World Club Challenge once became a standalone fixture last year. A multitude of factors played a role in this decision, including a reluctance on the part of Australian clubs to travel to England and interrupt their pre-season, which had already been cut short by the rugby league World Club which had taken place at the end of the previous season. In fact, the World Club Challenge found itself in danger of being cancelled for the first time in two decades as even the Melbourne Storm – that year’s defending NRL Premiers – were hesitant to travel overseas. Ultimately, it was decided that the game would be held in Melbourne, thus saving it from cancellation. The Storm’s home ground advantage played dividends, as it has for most sides, as they defeated the Leeds Rhinos 38-4. While further, more in-depth analysis will no doubt be provided closer to the game, the 2019 World Club Challenge has already proved itself to be an intriguing clash. 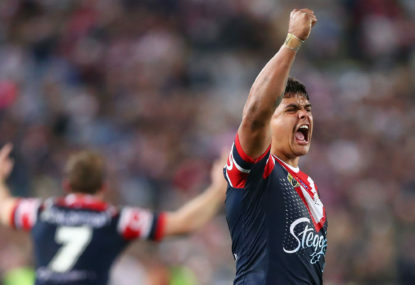 Although Roosters star Latrell Mitchell has pulled out of the game, it will no doubt attract plenty of attention from not only fans of both the Sydney Roosters and Wigan Warriors, but the game in general. Originally conceived as a one-off invitational in 1976, the World Club Challenge has developed into a highly-anticipated fixture that has only become more competitive with each passing season. 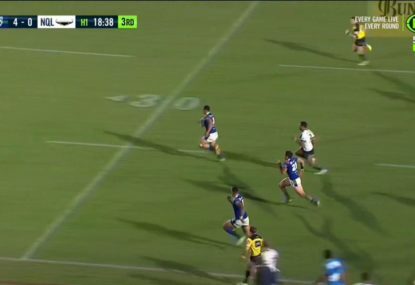 RTS bombs a try... by being too unselfish? Not a bad grab from Justin O’Neill though! Thomas Leuluai still packs quite a punch.